#EFRJ2018 conference: register before 15 May! The schedule for the workshop sessions is now online! Check the programme and join the 10th international EFRJ conference Expanding the restorative imagination. 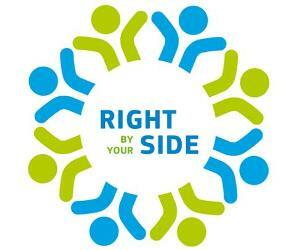 Restorative justice between realities and visions in Europe and beyond (Tirana 14-16 June). Currently, more than 260 people will come to this event: do not miss this opportunity, in few weeks registrations will close! 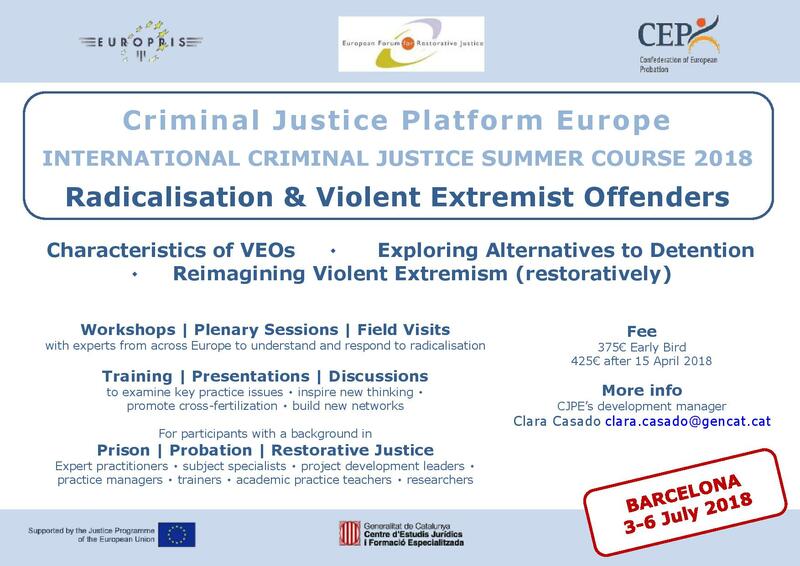 Registrations are still opened to participate in the 2nd Criminal Justice Summer Course organised by the Criminal Justice Platform Europe in Barcelona (3-6 July). For our RJ community, we offer a series of workshops based on the restorative encounters that took place in Italy and Spain between victims and ex-combatants of armed groups. Check the outline of the workshops here! 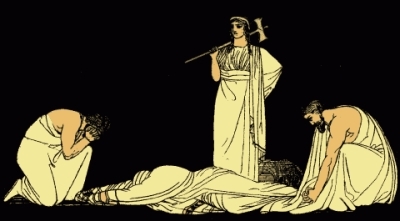 Greek tragedy and RJ: support needed! Please support this project by our member Katerina Soulou! At the #efrj2018 conference in Tirana she will present on the link between Greek tragedy and RJ, but in order to do a short film production is to be made in the next month! This project is done in cooperation with drama teacher Evdokimos Tsolakidis and his students of the Theater of Changes: they all agreed that the film will be accessible for the #rjweek 2018! Please share this link within your network! 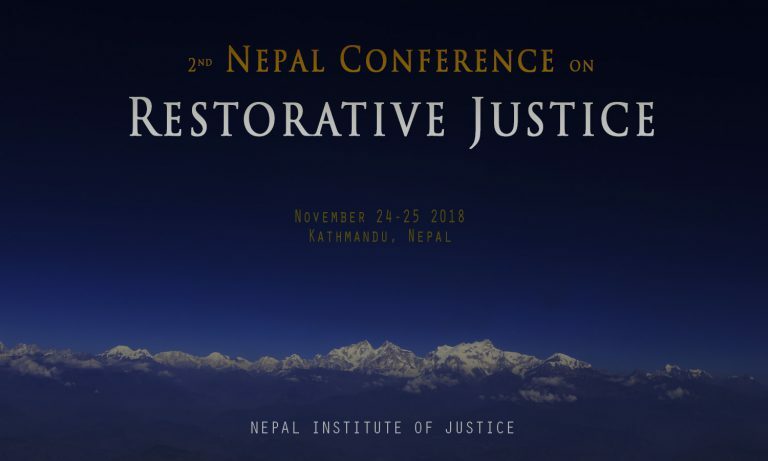 Our organisational member the Nepal Institute of Justice has launched a save the date for the 2nd Nepal Conference on Restorative Justice (Kathmandu, 24-25 November, during the international #rjweek). You can meet NIJ's Director Ramkanta Tiwari at the #efrj2018 conference in Tirana where he will present in a workshop dedicated to the RJ movement in the Global South. The deadline to submit your abstract to present at the IIRP World Conference has been extended to 4 May! The conference, entitled "Strengthening the Spirit of Community", explores topics such as school reforms, neighborhood conflicts, community health, family issues, youth change (Detroit, USA, 24-26 Oct). 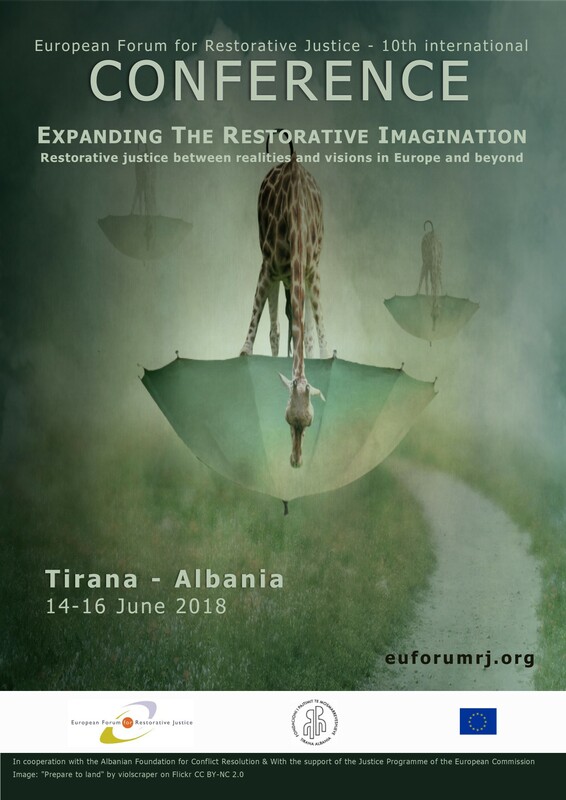 You can meet IIRP's founder and former president Ted Wachtel at the #efrj2018 conference in Tirana, where he will present in a workshop session on the links between restorative practices and democracy. The first issue of "The International Journal of Restorative Justice" is out! Many authors will also be present at the #efrj2018 conference in Tirana as well as the publisher. Members of the EFRJ benefit of a special discount: contact us to receive the code, or simply make your new subscription in Tirana! New calls for proposals have been recently opened under the Rights, Equality and Citizenship Programme: several themes can be of interest for our RJ field! The EFRJ always welcomes requests for partnership and is happy to assist EFRJ members in finding potential partners interested in the same topic! 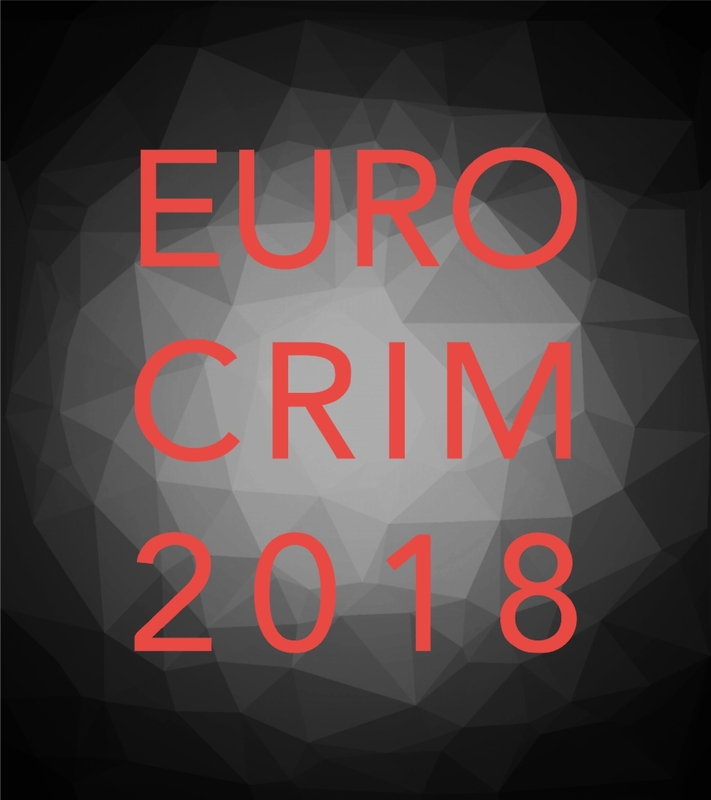 New deadline: 30 April is the last day to submit your abstract for presenting at the 18th Annual Conference of the European Society of Criminology "Crimes Against Humans and Crimes Against Humanity: Implications for Modern Criminology" (Sarajevo 29 Aug- 1 Sept). Our Board Member Aarne Kinnunen will attend this event on behalf of the EFRJ. The programme of the seminar "Countering Terrorism and Preventing Radicalisation in Detention" (Trier 28-29 June) is now online. This is the last activity of a project the EFRJ is partner in, "Enhancing Cross-border Mutual Legal Assistance and Recognition of Decisions in Countering Terrorism and Preventing Radicalisation in Detention", coordinated by the Academy Of European Law (ERA, 2016-2018). Interested legal practitioners can apply until 11 May 2018. 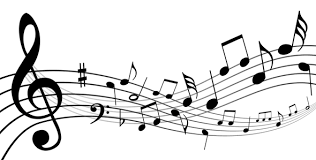 I'm Just a Little Bird is a song written and recorded by members of the global survivor network, a movement led by the Mukwege Foundation, dedicated to connecting survivors of conflict-related sexual violence.